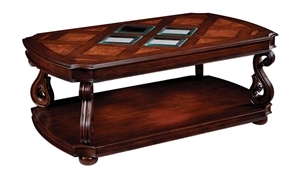 Cocktail table with walnut inlayed into cherry veneers, beveled glass panel inserts, and intricate woodwork. 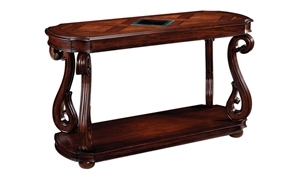 End table with carved ornamentation, walnut inlays, and solid hardwood construction. 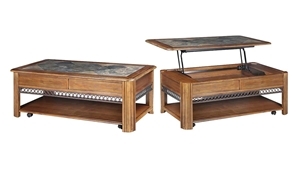 Cocktail table with a slate top, bronze aprons, and a wooden base.